The company was founded in 1997 by entrepreneur Vincent Graham under the name of Cybermind Interactive Nederland (CIN). 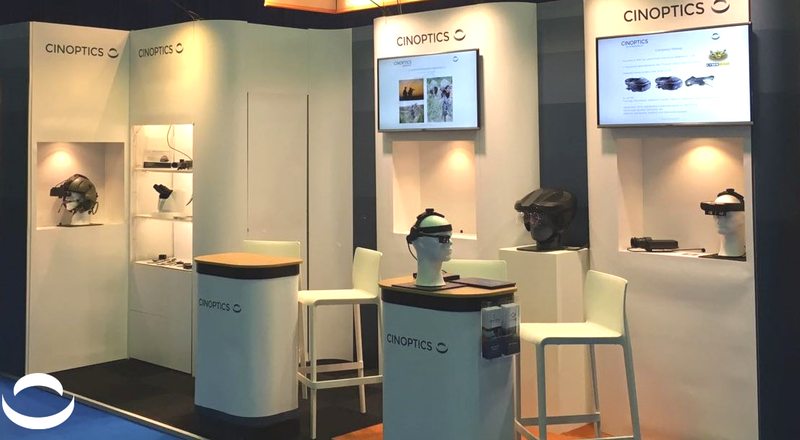 As of September 1st 2014, Cybermind changed its brand name to Cinoptics, to emphasize the focus on offering high quality Optronics. Our innovative solutions serve operational and professional Training and Simulation environments in Virtual and Augmented Reality all over the world. We work independently as well as commissioned for several major companies worldwide and we constantly invest in our collaboration with clients, partners and resellers. Superior (Micro) Display Technology at highest resolution for professional appli­cations. Most advanced (Micro) Display Driver Tech­nology Engineering knowledge & in-house Micro Electronics manufacturing. High performance Optics with zero toler­ance (high field of view & no distortion). Customized unique lightweight, flexible near to eye display solutions (including replica’s). Integration and support into customer sys­tem (incl. Tracker and SW). From idea to concept to prototype, up to 8 x times faster than other OEM competitors.